Each heavyweight paper portfolio has an intricate design that is ready for you to bring to life. 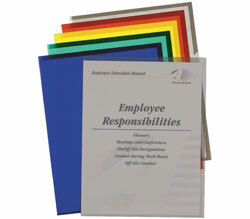 Let your personality show through by incorporating the UColor Two-Pocket Paper Portfolios into your everyday life. Be unique by creating your own impression on these heavyweight paper portfolios. Each folder has an intricate design that is ready for you to bring to life. The designs are printed on white folders with a matte finish, which allow you to use crayons, coloring pencils or markers. Store 8-1/2 x 11 size documents in the folders, which feature business card holders located on the interior pockets to help identify the owner of the folder without distracting from the artwork. Adult coloring patterns feature intricate designs and detailed scenery. Each pack includes six folders with six different designs.